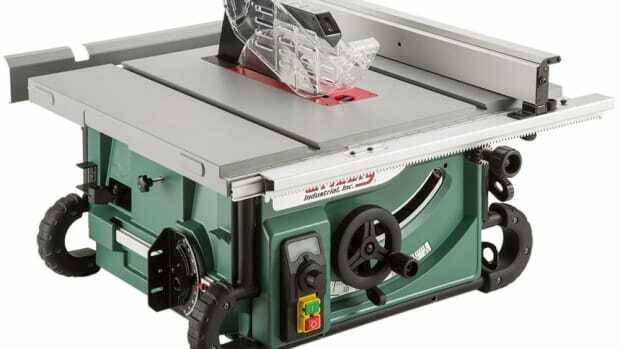 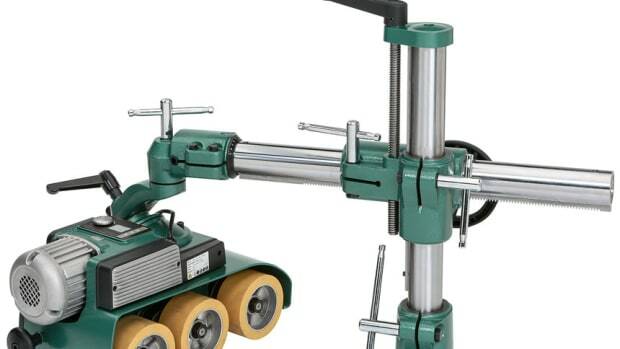 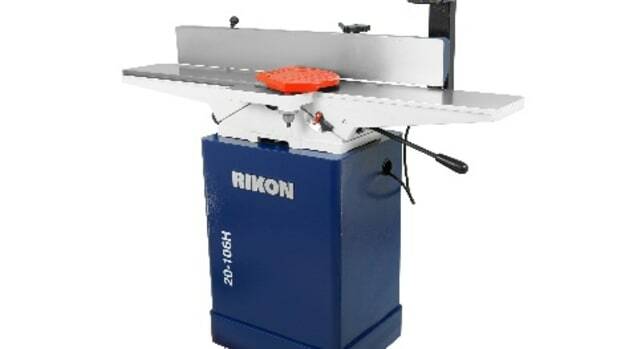 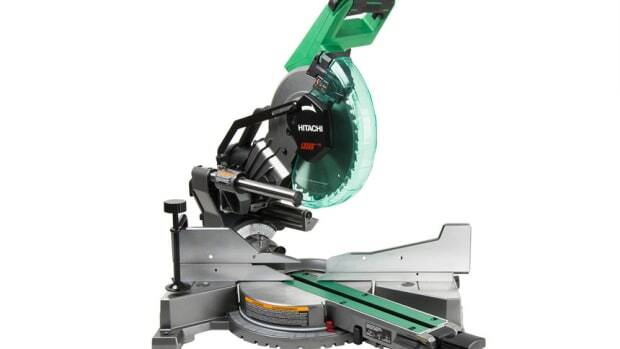 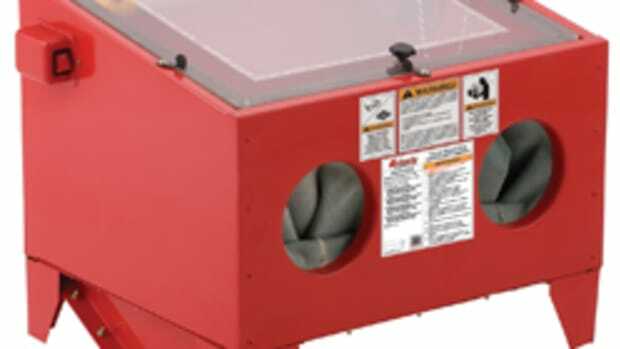 It features a 1/3-hp, 120-volt, single-phase ODP induction motor, laser for making guided cuts, and dust blower for keeping sawdust off the layout line or pattern. 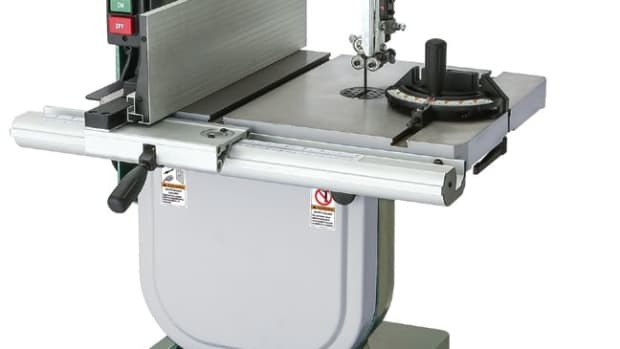 It also features rack-and-pinion table tilt from 0 to 45 degrees, an extruded aluminum fence with camlock handle, and LED work light. 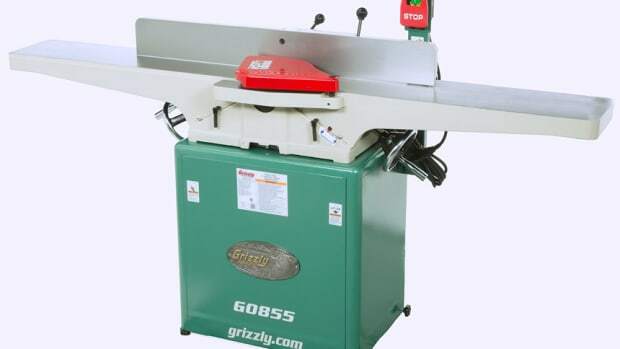 It also has quick-release blade tension and ball-bearing guides. 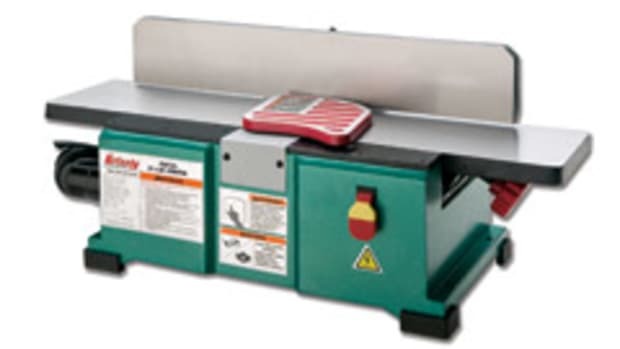 It accepts 62”-long blades 1/8” to 3/8” wide and weighs approximately 42 lbs., according to the company. 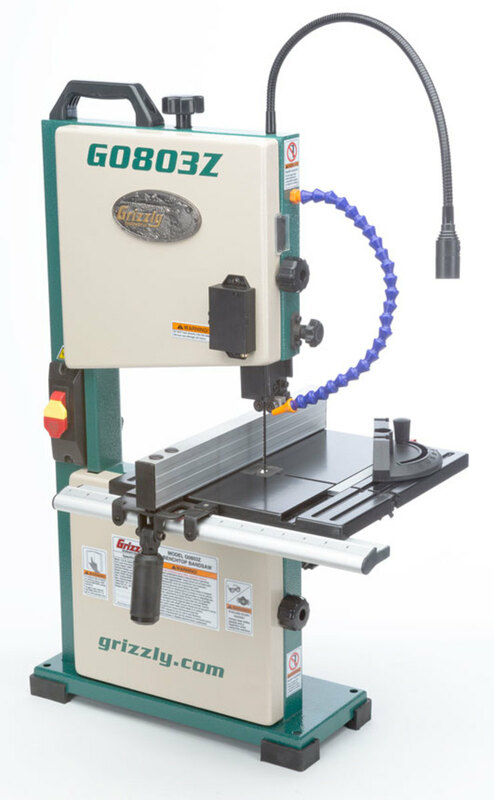 Grizzly Industrial introduces the Easy Feeder power feeder, model G0826, featuring a ½-hp motor, variable-speed feed control, digital readout and more.